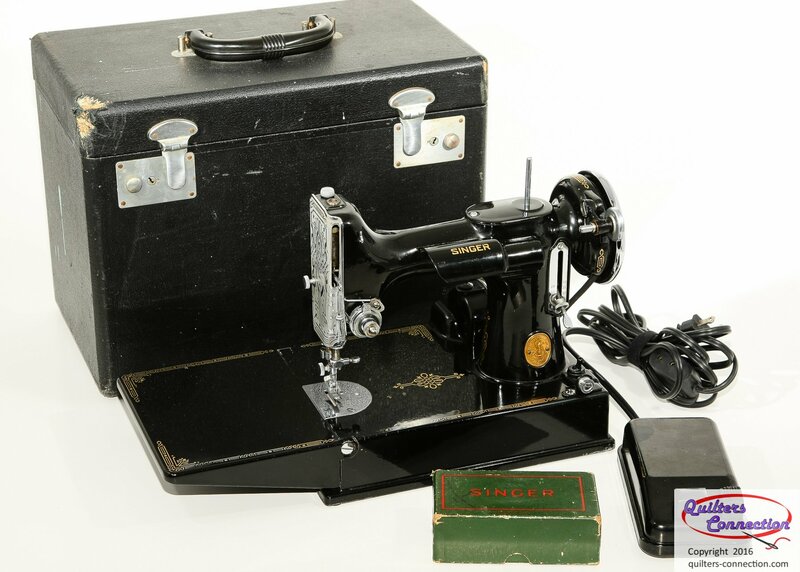 Description: This very nice pre-war Featherweight has the desirable features such as the scroll end plate, chrome-rim handwheel, chrome stitch length plate, and retains the correct original un-numbered top thread tension unit. There is some wear to the front edge decals from moderate use. This machine is a solid 7+ condition example of the earlier, more ornate Featherweights. The carrying case is the original Singer case with some wear to the top edges. Included with the machine are the original Singer bobbin case, some accessories, 5 bobbins, and a reprinted manual. This is a very nice Featherweight that you will be proud to own. It has been serviced and is ready to sew.